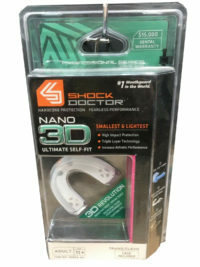 A third smaller than traditional mouthguards the Shock Doctor Nano 3D Mouthguard is the ultimate in compact mouthguard technology. It is extremely lightweight allowing for easier breathing and speaking. 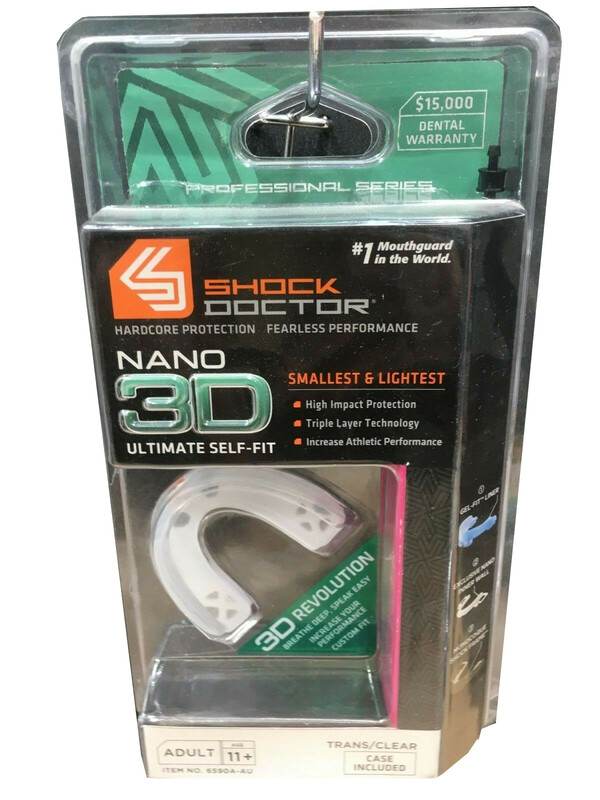 The enhanced protective shock frame offers a thin wall designed to absorb and disperse impact away from the point of contact. The exclusive Nano Inner Wall helps enhance the fit while minimising interference with the tongue. 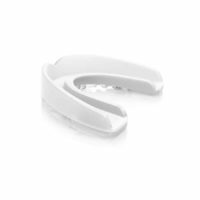 The Gel-Fit liner custom moulds to teeth for a tight and comfortable fit that will stay in place while playing.